One Man and A Brush painting contractor takes great pride in offering the highest quality, yet affordable exterior painting & interior painting services. Serving Dunwoody, GA, we are expert residential painters offering only the highest quality house painting. A competitive price is important, but we believe “True Customer Satisfaction” is realized by four important things – a skilled house painting craftsman, detailed proper preparation, highest quality paint, and providing exceptional customer service. We continuously strive to provide you with a value driven competitive estimate, however we’ll not sacrifice quality or short cut the work simply to give you a lower price. Our home improvement services don’t end on the last day of your home project. We provide a 3-day touch-up service and a 5 year quality warranty. You deserve a top quality home improvement contractor you’ll be proud of—that’s the only kind of work we do. With hundreds of homes painted we’ve got the expertise you’ll be able to trust. 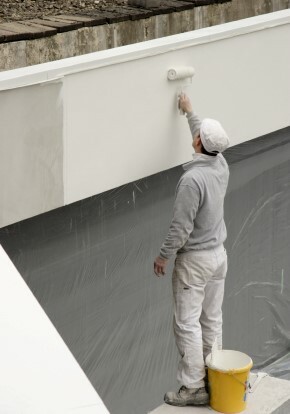 We are professional painters that “Care”, performing quality painting right down to the last brush stroke! Give us a try, you will be glad you did! Absolutely the best painters around. The service was exceptional. Detail oriented painters. My trim looks brand new. The pricing was extremely reasonable, especially for the quality of work. We will be back for exterior paint this spring! Richard’s bid was spot on and very detailed. My wife asked for an itemized bid and boy did she get it. The crew was very prompt and courteous. Will be using them again. If you are looking for a professional Dunwoody painter or painting contractor in the Dunwoody, GA area then please call One Man and A Brush at 678-368-5115 or complete our online request form.